(Natural News) The incoming Democrat-majority House of Representatives is eagerly pushing a so-called “Green New Deal” that socialists like Alexandria Ocasio-Cortez and Bernie Sanders claim will benefit all Americans while supporting a healthy environment. But as Richard Sacks from Lost Arts Radio explains in a recent video he shared at Brighteon.com, the Green New Deal is nothing but communism repackaged with a new name. 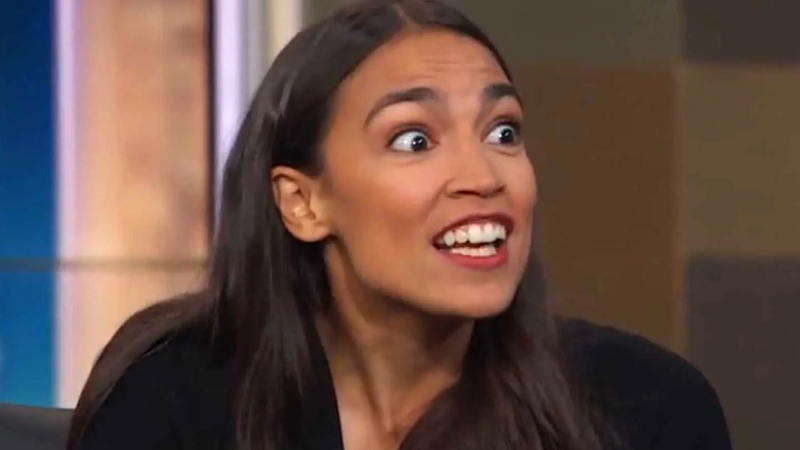 While its proponents claim it will create a clean energy future for America, the Green New Deal is a total fraud, and is being used “by the tyrants who want to take away all personal freedom, and do all of this stuff in the name of climate change so that you’ll submit to global government, and all of this terrible stuff,” Sacks explains. “It gets rid of all the nasty oil industry, right, so you don’t have any more dirty energy technology anymore, and it forces everything to be on sun and wind, which in its current state is a lot less efficient and it also still uses battery technology in some aspects of dirty energy,” Sacks adds. While the Green New Deal stands to put untold thousands of Americans out of work, particularly those that work in the energy sector, proponents of the plan claim that the government will just hire them to build solar panels and wind farms – which is neither practical nor feasible, seeing as how government money has to come from somewhere. “If you make changes like that by force through government decree – that’s how the Green New Deal people think it should be done … first of all, you put all of these people in the huge oil industry out of work,” Sacks warns, going into further detail about how bankrupting a government by creating more debt is hardly the solution to America’s problems. Nearly everything that underpins the Green New Deal stems from tenets in the Communist Manifesto, which Sacks encourages people to read in order to gain a better understanding of what the New Democratic Party is trying to push on Americans. “The idea was to overthrow the evil rich people, who they forgot to mention were supporting the entire structure of society and the rest of the economy, and steal everything they’ve got and give it to the wonderful people who don’t have as much money,” Sacks explains about the parallels between the Communist Manifesto and the Green New Deal. Another failed plank of the Green New Deal is its push for single-payer healthcare, which advocates of natural health know spells a death sentence for freedom of choice when it comes to healthy living. “If you have the government involved in deciding what healthcare is … you see, they don’t just pay for it, they also decide what it is,” Sacks says. Be sure to watch Sacks’ full video on the threat that is the Green New Deal at Brighteon.com. For more related news, be sure to check out HealthFreedom.news.